All the woodworking generators are constructed in different ways, according to the requirements of different wood workings and those of each single Customer. 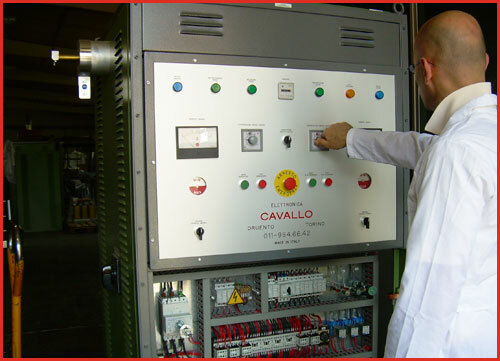 Some among the most woodworking generator sophisticated designs, constructed for a particularly exacting Customer, witness the level of ability and reliability attained by Elettronica Cavallo. A constant keeping up-to-date in the use of the most sophisticated technologies, the use of the most recent materials and a "handicraft" precision in constructing our woodworking generators: these are the best guarantees of woodbending machinery quality we can offer our Clients in full confidence.